For somebody new in Dofus, Sram may be their first choice that come to their mind as they would stack ranged dots and teleport behind enemies to finish them off. Sram has really strong close range spells while he can be absolutely deadly with traps from a far. A Sram's traps will doubtfully give you what you seek. For players who want some form of ranged/melee hybrid class, it's not a good idea to pick Sram as your first choice. It's not what you're looking for. Sadidas naturally have more control thanks to their multiple MP reduction spells. Srams exert their control more with Fear and other pushback mechanics. In other words, they have totally different dynamics for their map manipulation. One way to look at this is that Sadidas focus on reducing enemy movement and Srams focus on controlling where enemies move to. As for the classes starting to shine - Srams get their "real" spells much later than Sadidas. Lethal Attack is the star of the show for Earth (Strength) Srams, and that isn't unlocked until Level 90, so their damage suffers for it until then. Srams do well in PvP, but they are amazing in PvM as well. They're simply a little more "selfish" as a class. A Masqueraider might be what you're looking for. They jump around a lot more than Srams do. They're much more support-oriented though, and their damage shows it. It's respectable, but if it's damage you're looking for then Masqueraiders will leave you disappointed. It's also worth it to note that they've had serious blows to their quality of life over the updates. I think it doesn't affect 2.14, but when Dofus Touch starts catching up, you may find worrying changes to Masqueraiders take place. A Fire (Intelligence) Iop would be the next suggestion, as they have some movement spells (Jump) while dealing very, very nice damage. An Iop's Fire spells have a little more range to them overall than an Earth Iop, which is nice if you want to be more mid-ranged. It's worth it to note that Fire Iop damage is, strictly speaking, worse than an Earth Iop's. However, they are more than viable. If those aren't your thing, perhaps look into Ecaflips or Pandawas. Pandawas are more melee/ranged hybrid in the sense that they need to be closer to their target to move them (with Karcham/Chamrak), though their offensive spells have more range than that, allowing ranged play. Ecaflips on the other hand have a variety of buffs that can apply to the group (as well as themselves) while doing very respectable ranged damage. I doubt you'll get the same kind of melee/ranged hybrid out of an Ecaflip though - at least without a weapon, but then you could argue any ranged class works like that. A final note would be to avoid going hybrid with elements. Early on (anywhere before endgame, really), it can be incredibly difficult and/or expensive to make your character a functioning hybrid. Focus on one element for now, you'll be much happier in the long run. Hope this article would help you and carefully select you class! 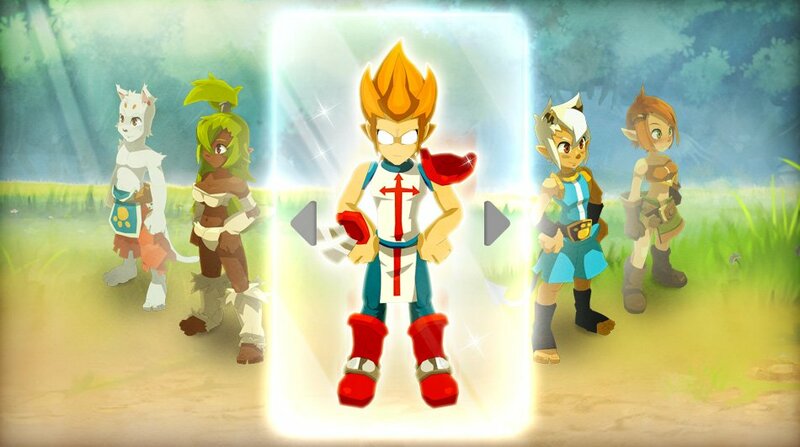 By the way, this week we have a big kamas promotion which allows our players using the coupon code "PNY-KAMAS" to enjoy 4% discount for Dofus Touch Kamas.